These realistic dinosaur costumes were especially a hit with the kids who kept wanting Fawkes to bite their limbs. Thanks to the city of Ruston for having us out! 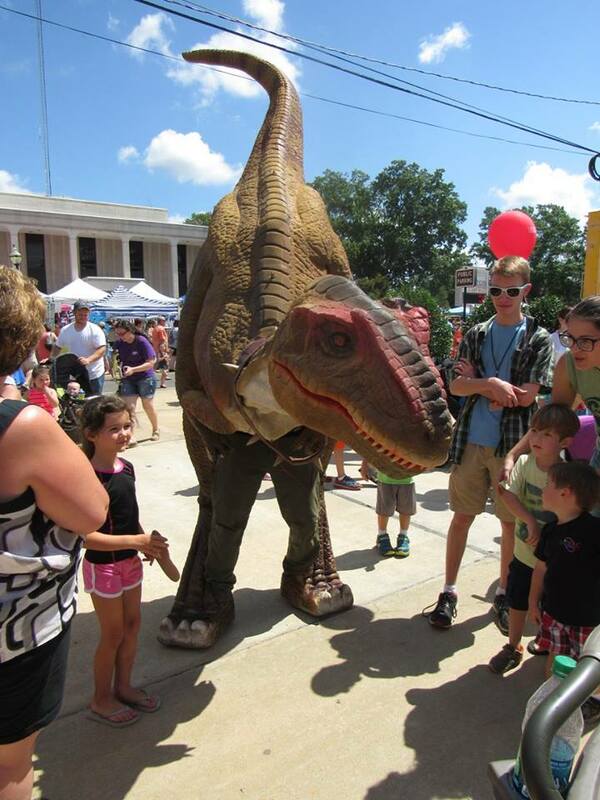 Our dinosaur performers make the interactions fun and exciting; the next best thing to having a real raptor or TRex at your event. Our main fleet of dinosaurs are based in Utah, but not only do we travel all over the country, we may have dinosaur performers near you as well. Give us a call at (480) 258-3740 and ask about our closest puppeteers to you. Although we specialize in corporate events, we are happy to perform at private functions and birthday parties as well. 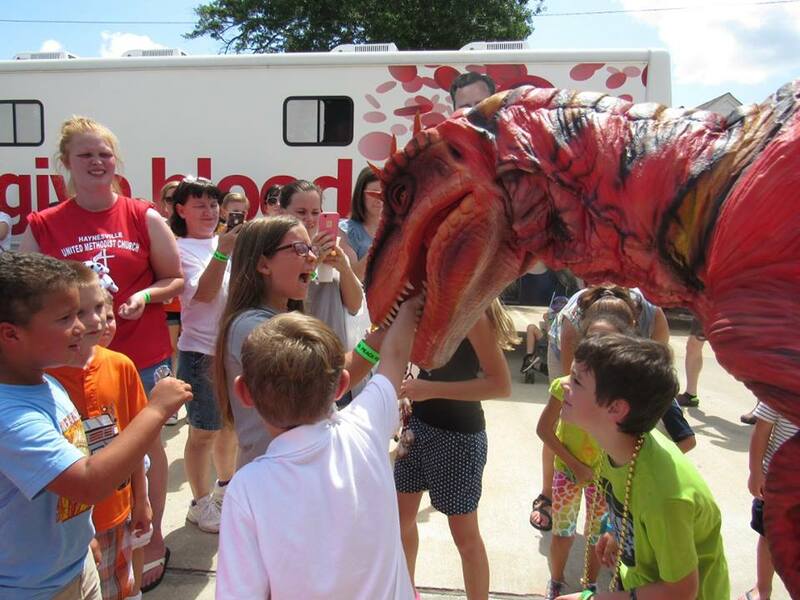 Our dinos have been hired for everything from festivals to weddings, from TV shows to viral videos, from birthday parties to arena-sized corporate conventions. P.S. We also sell these realistic dino costumes. Leave us an inquiry and we can get you detailed information on the manufacturing process. Each costume is custom-made to your specifications and preferences.